“Whether [you choose to be] in the private or public sector, do consider becoming an involved citizen…” the Hon. 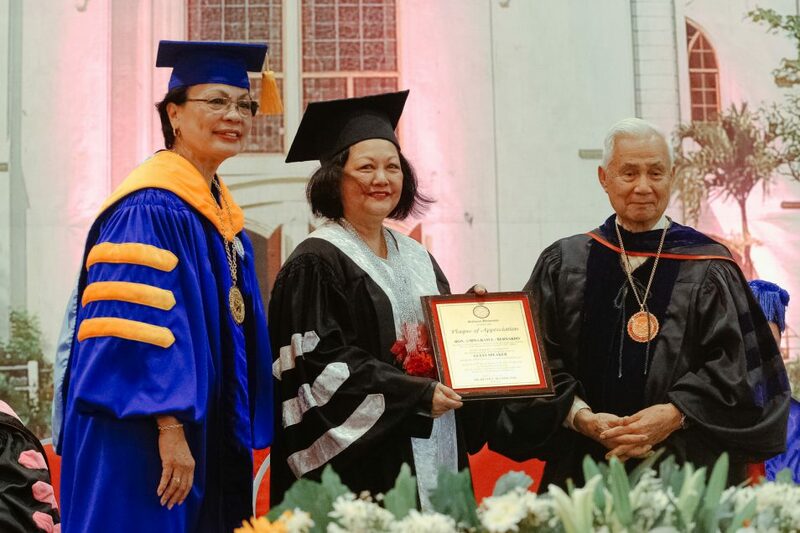 Amina Rasul-Bernardo, president of the Philippine Center for Islam and Democracy (PCID), told the 1,300 graduates of Silliman University during the 106th University Commencement March 24. 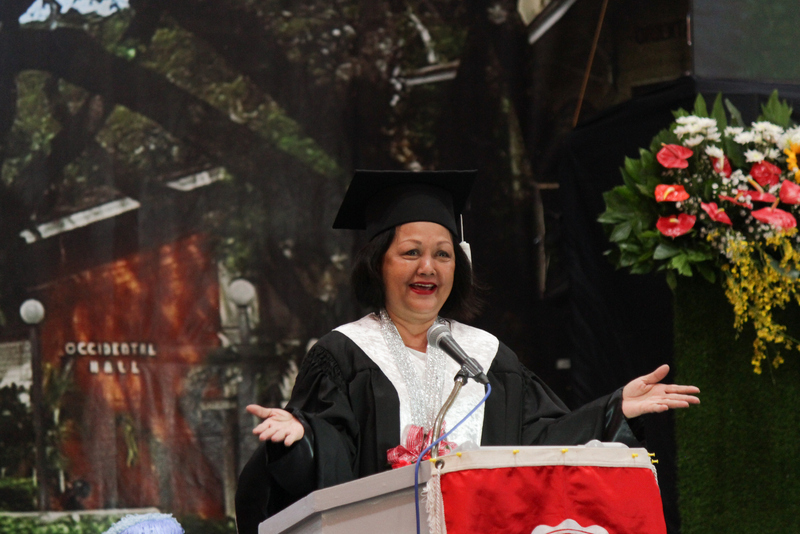 Ms. Rasul-Bernardo, former presidential advisor on the youth and the first chair of the National Youth Commission, reminded the graduates of the essence of Silliman education, that as Sillimanians “we do not merely strive to excel in our chosen fields but develop a strong desire to change our communities for the better. “Silliman is such a center of excellence. A degree from Silliman is a key that unlocks doors of opportunities. Just make sure you are at the right door!” she advised SU Batch 2019. The daughter of former Senator Santanina Tillah Rasul and the late Ambassador Abraham Rasul admitted to having fallen in love with Silliman University when, as editor-in-chief of her high school paper in Jolo, Sulu, she came to participate in a journalism workshop, so that she was in a dilemma which university to attend in college, UP or SU. The impasse was only broken, she said, by the fact that both her parents attended UP. Ms. Bernardo-Rasul invited the new graduates to consider a career in Mindanao, with its untapped resources and historic connection with ASEAN. “If ASEAN’s economy were integrated today, it would be the seventh largest economy in the world – larger than Europe or the U.S.,” she said, adding that as envisioned by former president Fidel V. Ramos, Mindanao should be the doorway to the ASEAN. She lamented the Marawi attack and its sad aftermath for the over 250,000 residents who lost everything in the siege. “We need you, dear graduates, to lend a hand and help our Maranao brothers and sisters and others like them … by understanding that they are just like you and me who want a better life,” she explained. In concluding her address, Amina Rasul-Bernardo reiterated her plea to the graduates to become involved citizens. “What we need is for you, the future leaders of public and private sectors, to participate and make a difference. That is the obligation of a citizen – not just to follow but to engage. “My dear graduates, whatever industry or sector you join, you can make a difference,” she assured them.